Greetings from the Gulf of Oman! I’m currently on vacation in beautiful Zighy Bay, a remote fishing village on the Musandam Peninsula on the northern tip of Oman. After a 13-hour flight and a 2-hour drive, I met up with my family for the start of our adventures abroad. The trip is a chance to experience the culture and cuisine of Oman and nearby Dubai. 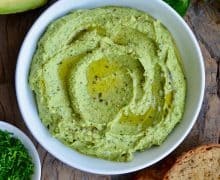 And I’ve been drawing inspiration from so many of the ingredients and dishes I’ve enjoyed so far, from traditional Arabic flatbreads and spicy curries to chicken shawarma and creamy hummus. While I’m currently 6,829 miles away from my New York City kitchen, no distance was going to keep me from sharing this quick and easy recipe for classic banana pudding. 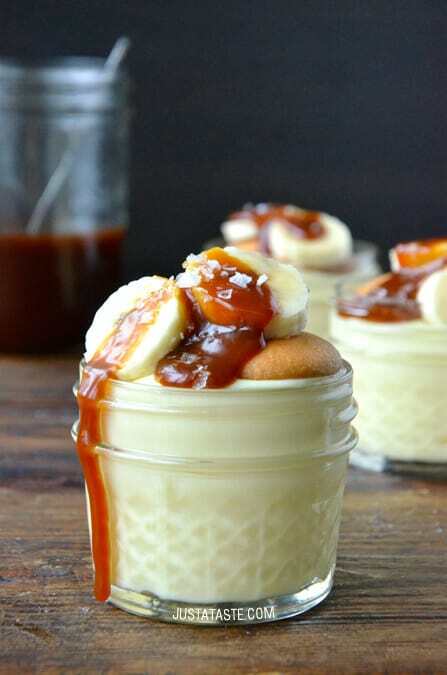 The creamy pudding is layered with sliced bananas, crunchy Nilla Wafers and homemade salted caramel sauce, which adds the perfect savory twist to this southern-inspired sweet. This crowd-friendly dessert can be prepared in a large serving dish or portioned out into smaller glass containers for eye-catching individual servings topped off with a pinch of large-flake sea salt. Slice up those bananas and stay tuned for much more to come from my culinary adventures overseas! Sprinkle the sugar in an even layer in a medium heavy-bottomed saucepan set over medium-high heat. Using a heatproof rubber spatula, stir the sugar until it begins to melt and darken in color, about 10 minutes. (If chunks form, continue stirring until they dissolve.) Stop stirring and let the sugar cook, undisturbed, until it turns amber in color, about 5 minutes. 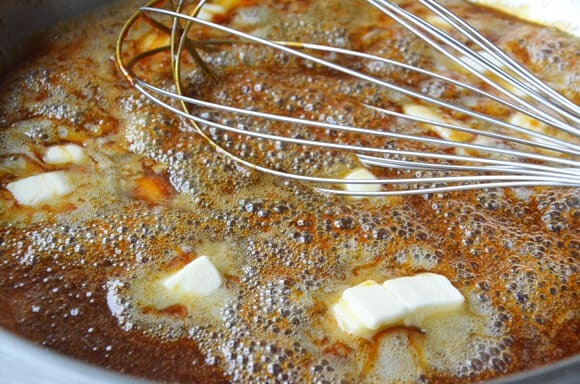 Remove the melted sugar from the heat and whisk in the butter until combined, then slowly and carefully whisk in the heavy cream. (It will bubble vigorously.) 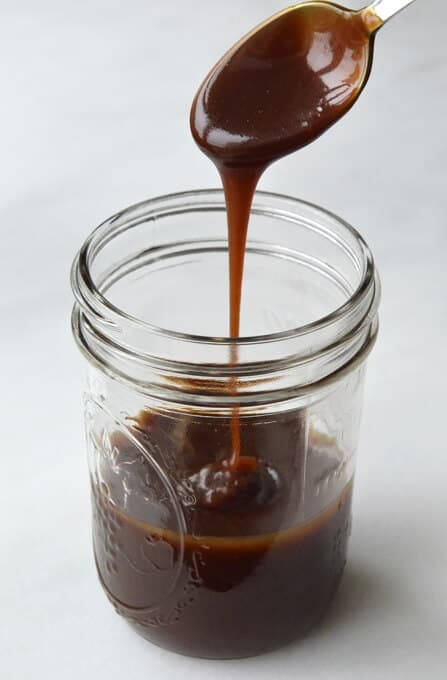 Stir in the sea salt then transfer the caramel to a glass container to cool while you prepare the pudding. 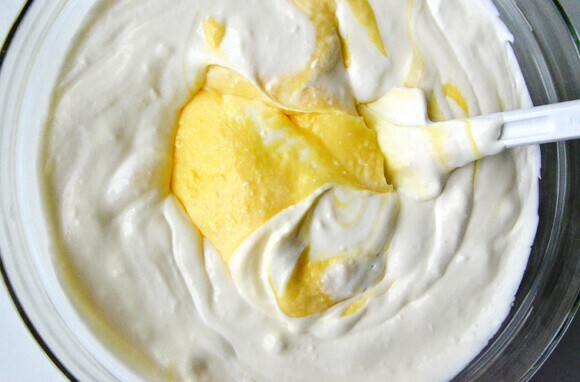 In a large bowl, whisk together the milk with the instant vanilla and banana pudding mixes. In a separate medium bowl, stir together the cream cheese and condensed milk. 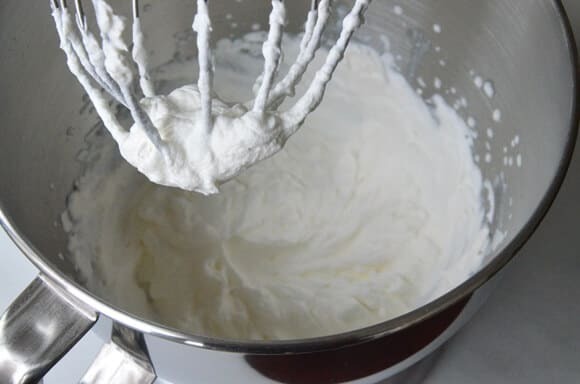 In the bowl of a stand mixer fitted with the whisk attachment, whisk the cold heavy cream on high speed until stiff peaks form. Stir the cream cheese mixture into the pudding until well combined. Refrigerate the pudding until ready to serve. The amount of Nilla Wafers you will need depends on how you serve the pudding. 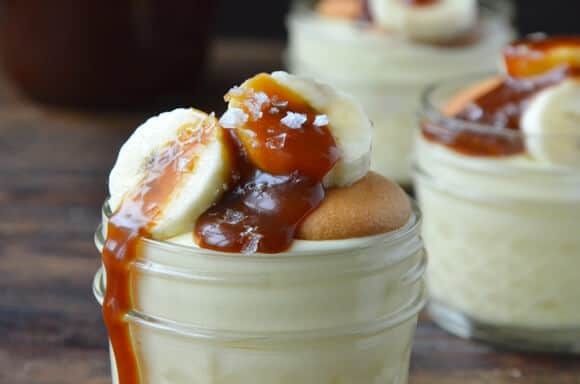 You can serve the pudding in a 13-by-9-inch baking dish, or make individual banana puddings in your desired serving dishes, such as mason jars, tall glasses or ramekins. When making caramel, it's really important to use a heavy-bottomed saucepan and to never turn your back on the sugar. It can change from amber to black in a second! This recipe will yield about 1 cup of caramel. Use a portion of it with the pudding and save the rest, stored in an airtight container in the fridge, for sundaes ... or for eating by the spoonful. Pudding recipe adapted from Food Network.